DUBROVNIK, Croatia, April 12 (Xinhua) -- Chinese Premier Li Keqiang and Estonian Prime Minister Juri Ratas on Friday said the two countries are ready to enhance cooperation and boost bilateral ties. Li and Ratas made the remarks when meeting on the sidelines of the eighth leaders' meeting between China and Central and Eastern European Countries (CEECs) at the southern Croatian coastal city of Dubrovnik. Bilateral relations have shown booming momentum with fruitful practical cooperation and a broad cooperation prospect, Li said, adding that the two countries have maintained close exchanges via multiple channels, and promoted bilateral ties and cooperation by utilizing the China-CEEC cooperation platform. The premier said China is willing to enhance cooperation with Estonia in the fields of e-commerce, education, innovation and digital economy, and expand imports of Estonian agricultural, livestock and marine products Chinese consumers love. 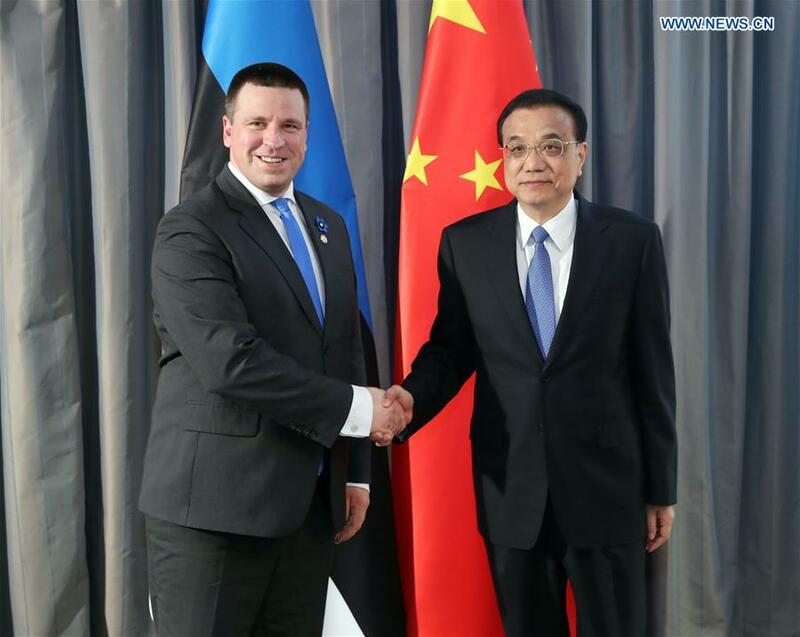 Ratas said the Estonia-China relationship is close, and has seen a sound development. Noting that more and more Chinese tourists are coming to Estonia, Ratas said the two countries enjoy a close cultural and people-to-people exchanges. Estonia is ready to take the signing of a series of cooperation pacts as an opportunity to promote practical cooperation with China in the fields of agriculture, artificial intelligence and 5G, and to promote their communications and coordination in multilateral areas, said Ratas.